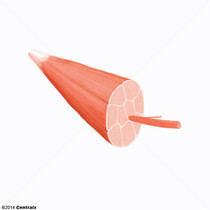 Large, multinucleate single cells, either cylindrical or prismatic in shape, that form the basic unit of skeletal muscle tissue. 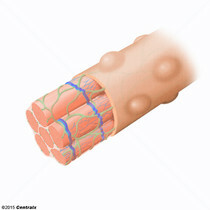 They consist of a soft contractile substance enclosed in a tubular sheath. They are derived from the fusion of skeletal myoblasts (MYOBLASTS, SKELETAL) into a syncytium, followed by differentiation. Differentiated epithelial cells of the INTESTINAL MUCOSA, found in the basal part of the intestinal crypts of Lieberkuhn. 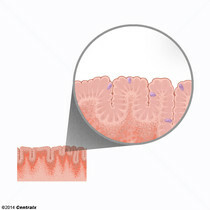 Paneth cells secrete GROWTH FACTORS, digestive enzymes such as LYSOZYME and antimicrobial peptides such as cryptdins (ALPHA-DEFENSINS) into the crypt lumen. 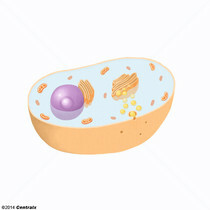 A glandular epithelial cell or a unicellular gland. 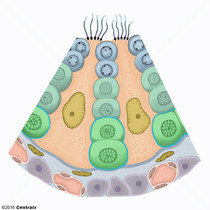 Goblet cells secrete MUCUS. 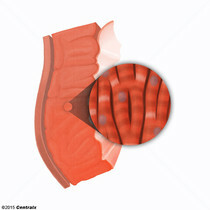 They are scattered in the epithelial linings of many organs, especially the SMALL INTESTINE and the RESPIRATORY TRACT. 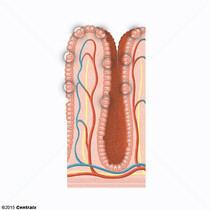 Epithelial cells that line the basal half of the GASTRIC GLANDS. Chief cells synthesize and export an inactive enzyme PEPSINOGEN which is converted into the highly proteolytic enzyme PEPSIN in the acid environment of the STOMACH. 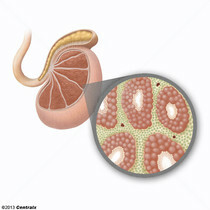 A type of pancreatic cell representing about 50-80% of the islet cells. Beta cells secrete INSULIN. 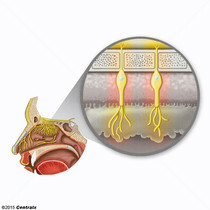 Neurons in the OLFACTORY EPITHELIUM with proteins (RECEPTORS, ODORANT) that bind, and thus detect, odorants. These neurons send their DENDRITES to the surface of the epithelium with the odorant receptors residing in the apical non-motile cilia. 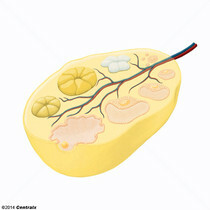 Their unmyelinated AXONS synapse in the OLFACTORY BULB of the BRAIN. 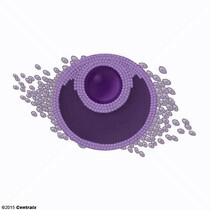 Supporting cells for the developing female gamete in the OVARY. 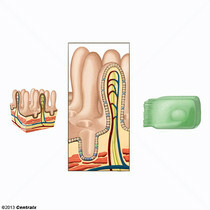 They are derived from the coelomic epithelial cells of the gonadal ridge. 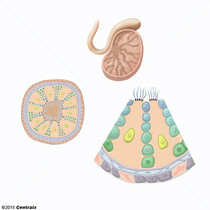 Granulosa cells form a single layer around the OOCYTE in the primordial ovarian follicle and advance to form a multilayered cumulus oophorus surrounding the OVUM in the Graafian follicle. The major functions of granulosa cells include the production of steroids and LH receptors (RECEPTORS, LH). PROGESTERONE-producing cells in the CORPUS LUTEUM. The large luteal cells derive from the GRANULOSA CELLS. 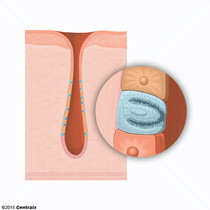 The small luteal cells derive from the THECA CELLS. 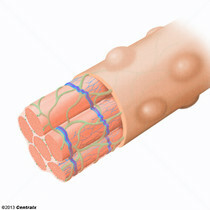 Supporting cells projecting inward from the basement membrane of SEMINIFEROUS TUBULES. They surround and nourish the developing male germ cells and secrete ANDROGEN-BINDING PROTEIN. 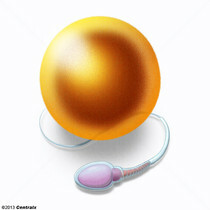 Their tight junctions with the SPERMATOGONIA and SPERMATOCYTES provide a BLOOD-TESTIS BARRIER. Steroid-producing cells in the interstitial tissue of the TESTIS. They are under the regulation of PITUITARY HORMONES; LUTEINIZING HORMONE; or interstitial cell-stimulating hormone. TESTOSTERONE is the major androgen (ANDROGENS) produced. The reproductive cells in multicellular organisms. Mature male germ cells derived from SPERMATIDS. 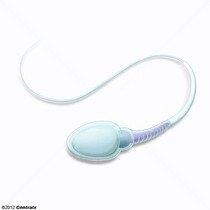 As spermatids move toward the lumen of the SEMINIFEROUS TUBULES, they undergo extensive structural changes including the loss of cytoplasm, condensation of CHROMATIN into the SPERM HEAD, formation of the ACROSOME cap, the SPERM MIDPIECE and the SPERM TAIL that provides motility. Male germ cells derived from the haploid secondary SPERMATOCYTES. 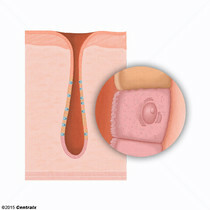 Without further division, spermatids undergo structural changes and give rise to SPERMATOZOA. Euploid male germ cells of an early stage of SPERMATOGENESIS, derived from prespermatogonia. With the onset of puberty, spermatogonia at the basement membrane of the seminiferous tubule proliferate by mitotic then meiotic divisions and give rise to the haploid SPERMATOCYTES.